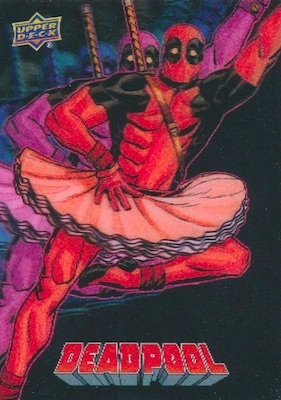 The irreverent Marvel anti-hero adds a little more action and humor to the trading card landscape in 2019 Upper Deck Deadpool. Averaging two premium inserts per Hobby box, the comic-based release is all about the "Merc with a Mouth." Every pack should have one insert or parallel. 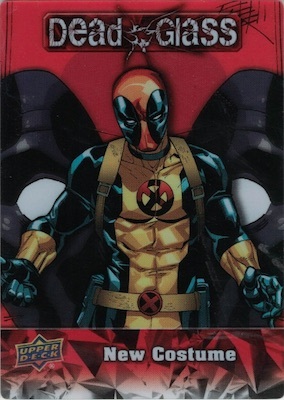 Centered around some of Deadpool's notable events and characters, the 100-card base adds two parallels. One of these is the Pink parallel that comes in every box, and the other is Black. One High-Series Base card is also expected in each box. 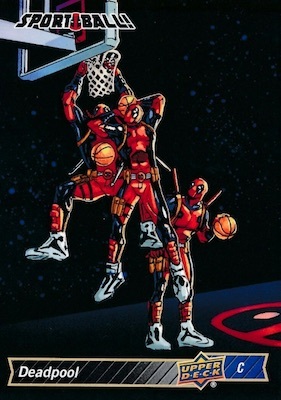 Not likely surprising anyone, the main 2019 Upper Deck Deadpool inserts are quite playful. Sport Ball! has some fun with various athletic pursuits using familiar design styles. 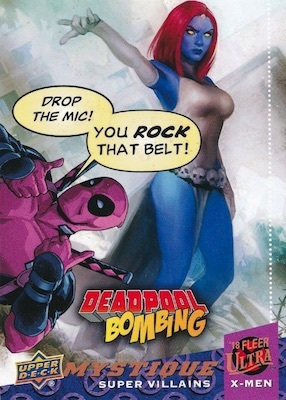 There is also Deadpool Bombing, which is essentially Deadpool's version of a photobomb, but with other UD Marvel cards. 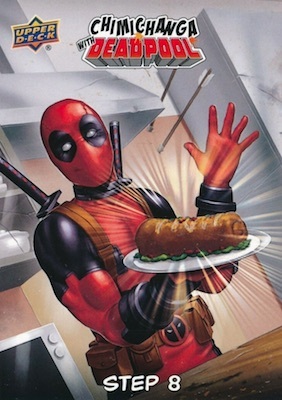 And it wouldn't be Deadpool without a helping of chimichangas. In fact, Chimichanga with Deadpool walks you through the steps to make the tasty dish. 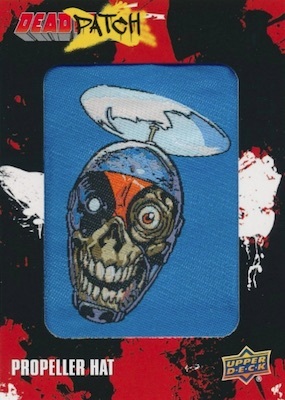 Among the premium options in 2019 Upper Deck Deadpool, collectors can chase 3D Lenticular, plexiglass Dead Glass, and manufactured Dead Patch cards. The multi-tiered patch cards and lenticular cards both have SP and SSP versions, as well. These short prints are case hits. 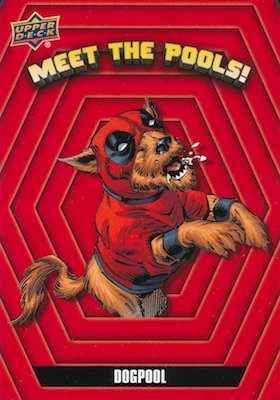 There are also The New Mutants #98 Cut Comic Panels and rare The New Mutants #98 Cut Comic Covers (#/10) cards featuring pieces from the original issue to introduce Deadpool. Lastly, hand-drawn Sketch cards average two per case. PARALLEL CARDS: Black (1:4 packs), Pink (1:18 packs). 11 Is That Thing On? 97 It's Time To Die! 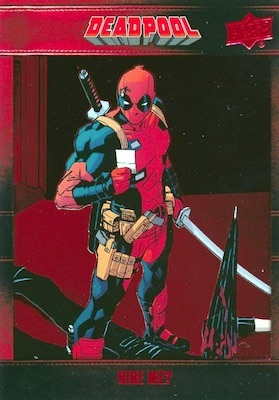 Buy 2019 UD Deadpool inserts on eBay. Overall odds - 1:23 packs. Overall odds - 1:24 packs. Jucylande Paula de Oliveira Jr.
View the 2019 Upper Deck Deadpool checklist spreadsheet.